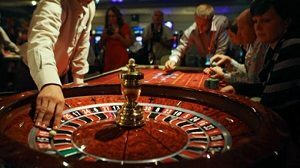 It is estimated that for every 100 people who gamble as entertainment or as a business, there will be three to five out of the hundred that will have a problem with gambling. In the United States, there will be 750,000 teenagers between the ages of 14 and 21. 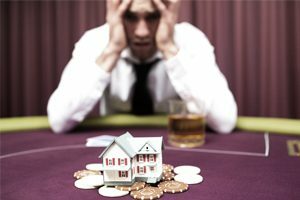 While some problem gamblers are able to seek treatment on their own, other gamblers turn to crime or fraud to work on their gambling debts. Gamblers who commit crimes may be thrown in jail, when in reality; they need treatment for their addiction instead. 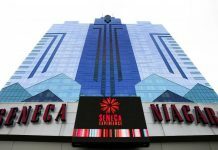 That is the purpose of Nevada’s Gambling Treatment Diversion Court, which hopes to teach problem gamblers to pay their debt to society and learn to stay away from gambling as well. In Las Vegas alone, there are 36 million visitors per year. Researchers estimate that the state receives 50 million visitors each year. Each gambler spends about $550 on gambling, and they gamble about four hours a day. The economic impact of gambling in Nevada is enormous—about $150 billion dollars from the direct and indirect impact on the economy of the state. Nevada has had gambling since the beginning of the Great Depression, but gambling really got off the ground after World War II. At that time, Nevada had large tracts of military bases and top-secret plots of land with thousands of soldiers working in them, who needed a diversion. The industry in Nevada has accounted for billions of dollars into the economy since World War II. However, with all of the pluses with regard to gambling and casinos, there have been some negatives. Often, problem gamblers get into trouble when they begin to need additional money to gamble. There are many crimes, usually nonviolent ones, which problem gamblers may commit. For example, gamblers have been known to forge signatures on checks and other financial documents in order to get money, which can be a felony depending on how much was taken. Gamblers can also run into trouble before they leave the casino. Many casinos extend markers to clients they deem creditworthy. Markers work much like credit—the gambler agrees to pay the cash advance back within a certain period. 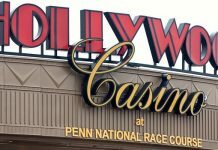 If they do not, the gambler could be charged with a felony. Gamblers may also run into trouble if they embezzle money from their business or place of employment to pay gambling debts. The new court for gamblers is for felony offenders only. Misdemeanors are considered to be handled under a different court, because usually first-time offenders on a misdemeanor charge are able to have their charges erased (expunged) if they complete their sentence and restitution. The gambling court is not only a court; it is a program to treat people with gambling addiction issues, so that they do not go back to committing the same crimes again. The court in Clark County, Nevada was modeled after other courts in the county that treat people with specific issues, such as veteran’s court, and a mental health court. The gambling court offers convicted nonviolent felons who pled guilty to their crime an opportunity to avoid jail if they enter a treatment program for gambling addiction, and they must visit the judge every Friday. Next articleDoes Federal Legislation Open the Door to Sports Gambling in California?